Advances in neuroscience have shown that the early years of life have a profound effect on a child’s future – on their health, education, wellbeing and financial success as an adult. When parented with love, nourished and cared for in safe and stimulating environments, children develop the cognitive, emotional and behavioral skills. They start life with a fair chance to grow, thrive and contribute to their communities and the world. 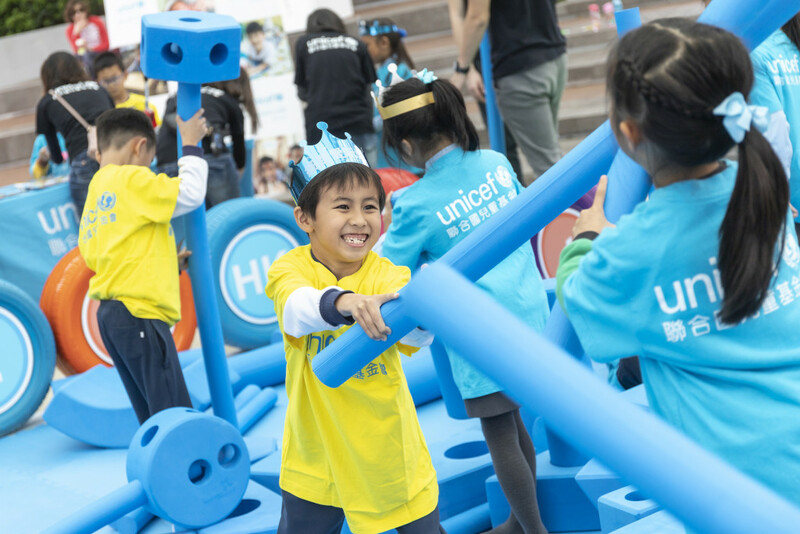 In support of UNICEF Early Childhood Development (ECD) initiative, UNICEF HK will continue to organize ‘for every child, #EatPlayLove’ in different districts in 2019. Play is a fundamental right of children. It not only makes children happy but also promotes their healthy development. Imagination Playground provides a great opportunity for local families where children can explore freely and enjoy all the fun associated with play in an environment filled with imagination. On the other hand, parents and caregivers can learn more about early childhood development and give their children a good start in life by playing with them. In the imagination playground, large blue blocks in various shapes are randomly scattered in the playground. The blocks seems to be unshaped, but indeed they are full of playfulness, which can let the kids create their own infinite fantasy world from the simple graphics. 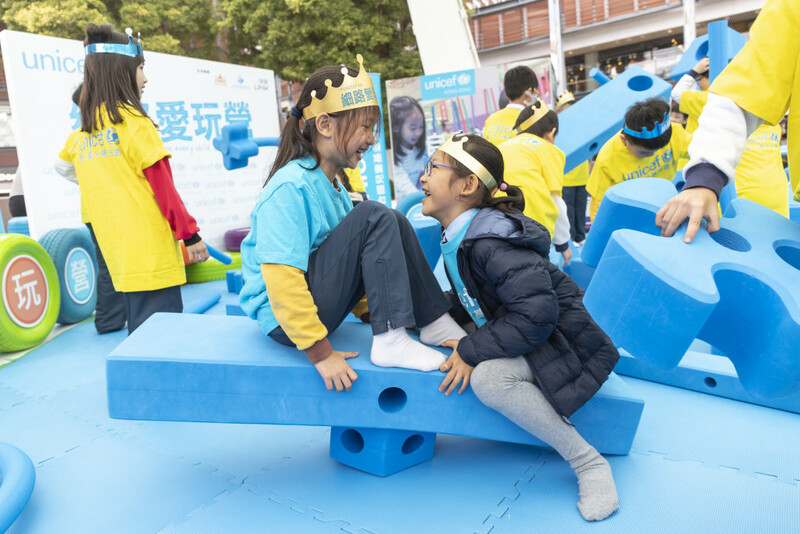 Inside this safety playground, we hope that the children can make use of their creativity on the given blocks, and assemble the most interesting playground for themselves. 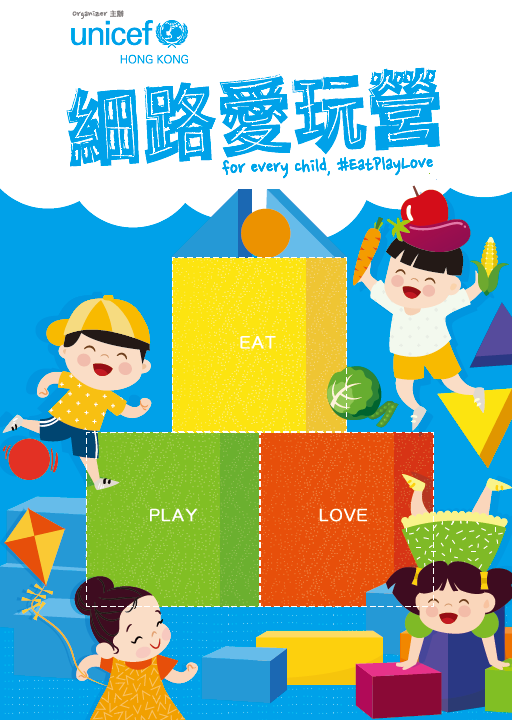 ‘For every child, #EatPlayLove’ event will continue to take place in various districts throughout Hong Kong and promote the 3 key essences of early childhood development: Eat, Play and Love. If you want to learn more, please feel free to send email to [email protected] or follow our Facebook page. 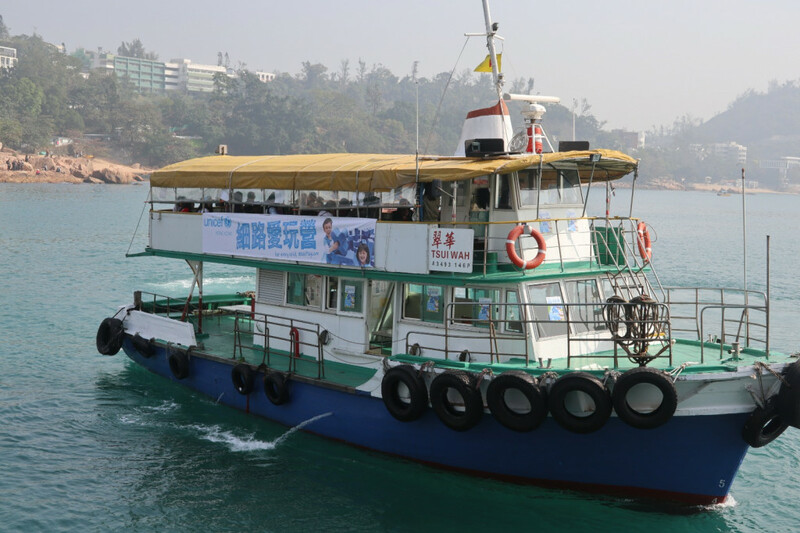 Thanks to the support of the Southern District Office of Home Affairs Department, ferry service had arranged for people travelling between Stanley and Aberdeen. 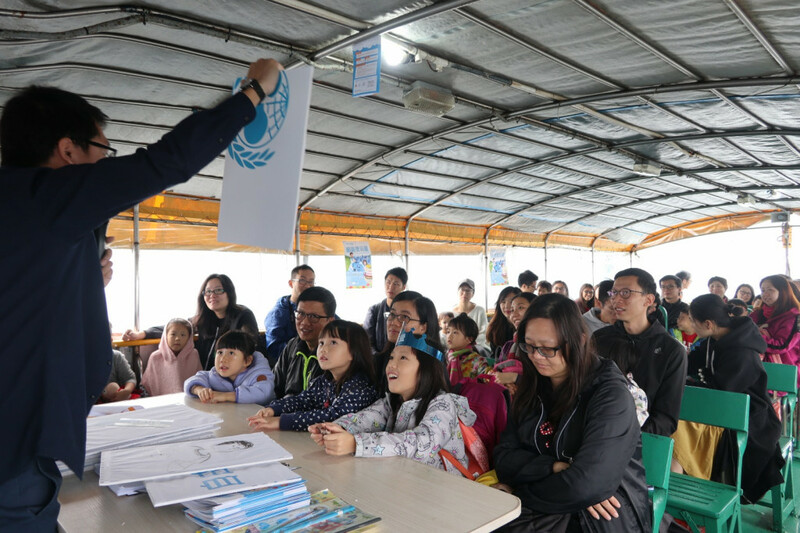 During the ferry trip, UNICEF HK organized a series of parent-child educational activities and successfully invited around 400 parents and kids to participate. Professional speakers took the lead of the session to demonstrate the parent-child interactive games with families and distribute the event pamphlets and souvenirs to participants on board. Feel free to contact us by phone 2836 2927 or by email [email protected] for more event details!